Hi everyone what happened is the plot boring? If it is then please let me know. I ma getting no comments for the past 3 updates and also the promo. Please if there is any problem let me know it is the only way i can improve. But i wont stop updating. When Laksh was studying MBA in Kolkata. Laksh was very popular in his college. He was the captain of the college basketball team. All girls were behind him but Laksh had no interest in being in a relationship. And he was not Laksh he was “Lucky”. Laksh was sharing his room with his all time bestie Karan. Karan: Yaar Lucky why are you not having a girlfriend? Laksh: arrey what is your problem Karan. Karan: come on buddy you are our college’s rockstar you cant go single. Laksh: you know na i am not interested in all these things. Karan: you are not going to change. Karan: Lucky, have you changed your mind? Karan: why are you charging at me? Laksh; i told you na i don’t want to be in any relationship. Karan; Amritha is thinking of proposing you. Karan: ok then don’t believe me. Amritha: hi Karan hi Lucky. 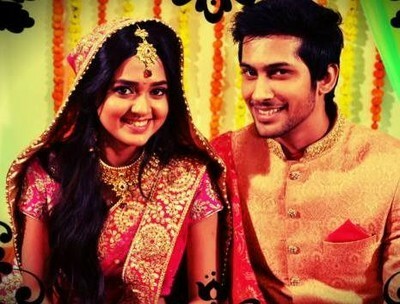 Laksh: hi Amritha. What happened why are you here? Amritha: i wanted to tell you something. Laksh: before you tell me anything first sit down. Laksh: Amritha we can be good friends but not anything more. Tears comes from Amritha’s eyes. Laksh: please Amritha don’t make it difficult for me. Amritha: sorry for troubling you lucky. Laksh: no please don’t be…its not your fault. We are still friends right? Karan : whoa that went good. Karan: yh but why did you reject her? Laksh: she is not my type yaar. I want a simple average girl. Karan: Lucky you are being a fool..
Karan sees Laksh in the library. Karan: i was looking for you everywhere. Laksh closes the book which he was reading. Karan: i am feeling bored wanna join in for a ride? Laksh: why not…but after i finish reading this. Saying this Laksh shows Karan a book. Karan: no way i will old by then . Laksh: come on dude its just 300 pages. Karan: just 300 pages? That is a huge number bro. Laksh: ok my drama queen. I’ll change and come ok.
Karan: come fast i’ll be waiting outside. Karan: i cannot tolerate this place..see full of books. Laksh and Karan goes for a ride. Laksh; you always asks me to get a girlfriend and how come you are still single? Karan: don’t worry about me bro..i’ll find her soon. Karan; oh hello it will be anyway better than living with you. Laksh sees a book shop. Laksh; come on one book will not hurt. Karan: say one more book. Karan: yh but i am rebel. Saying this he drags Karan into the bookshop. Laksh tries to select books while Karan flirt with some girl customers. After some time Laksh comes with a copy of The fault in our stars. Laksh stands in the queue for billing. He sees a poster and moves on to read it.